Mastertech Automotive Offers Auto Repair Services You Can Count On! 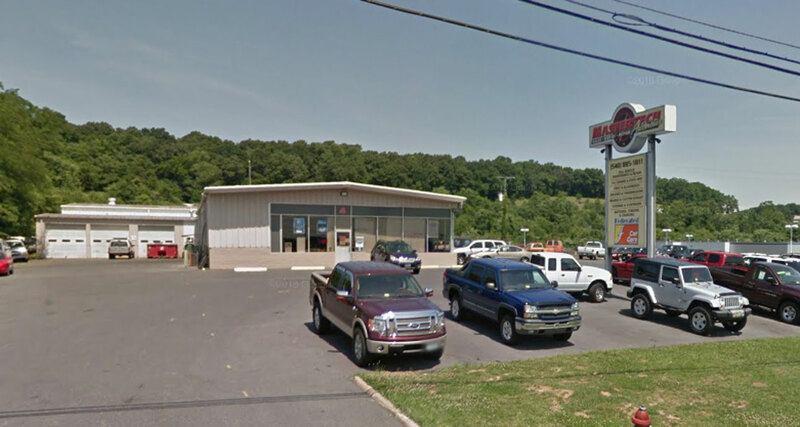 Since 2008, Mastertech Automotive has provided motorists in the Staunton, VA 24401 area with comprehensive auto repair services that include 4x4 Services, Alignment, Auto Detailing, Brakes, Car & Truck Care, Domestic Cars & Trucks, Electronic Services, Engine & Transmission, Engine Maintenance, General Services, Heating and Cooling Services, Heavy Duty Repair, Import Cars & Trucks, Inspections and Emissions, Miscellaneous Services, Quick Lube Services, Tires, Transmission Services and Undercar Services. Our goal is to offer the best services available at affordable prices to get you back on the road in no time. You'll be hard-pressed to find the same level of expertise that our auto mechanic specialists provide! Our Factory Trained service professionals have years of experience working on both domestic and import vehicles of all makes and models and can work with you to find cost-effective repair and maintenance alternatives. For a high-performing vehicle, trust Mastertech Automotive with your car, truck, or van. To learn more about the services we offer, please contact us by phone at 540-885-1811 or by text message at 540-290-0717 or send us an email. We also invite you to learn more about our dedication to you, our valued customer. Great, friendly, and down to earth people! They're also fast, and have never let me down. I will definitely keep going back! This shop sets the bar in my opinion. They are knowledgeable, professional and the service manager will go the extra mile every time to get you the best deal possible. Highly recommended! A friend referred me to Master Tech Mechanic and I am very glad they did. Excellent communication, went above my expectations, very competent mechanic, and reasonable prices. I will be back. Car overheated and broke down. They took us right in and got us back on the road fast! Very reasonable pricing and friendly staff. I?ll never take my car anywhere else after going to Mastertech. The mechanics do quick, quality work, the prices are fair, and Kelly really goes above and beyond for the customers. Outstanding experience all around. Master Tech Exceeded my expectations greatly. There customer service was amazing. They even would text me updates on the repairs! If I could give more then 5 stars I would. Come here for any repairs. Very hard working for their customers. Willing to go the extra mile. Down home kind of guys. Thanks a lot fellas! Highly recommend them! They are excellent. I have had lots of work done with them and now just bought a car! I highly recommend going to Mastertech. Excellent service fast, efficient, and affordable. Kelly is the best! We were from out of town and they helped us out, very friendly and helpful. Loaned us a car so we could get something to eat while we waited. Great people and service. These guys are the absolute best!!! They have taken good care of me since I started coming there. I can't say enough wonderful things about Bryan, Kelly, and the rest of the crew! I would recommend these guys to anyone! Awesome guys. Great service, Awesome Trucks!!!!!!! Took my car to them thinking I had transmission problems they diagnosed it and found out it wasn't the transmission. These guys are great will recommend anybody who needs work done on their cars. Thanks, y'all. We were lucky to find you. We broke down in our bus on our way to NJ. They took us right in so we could get back on our way to NJ. Nicest people ever! Now we have a great mechanic on our road trips if we ever need one. These guys are awesome. Kelly and Eric did an amazing job fixing what was supposed to be a dead engine. They worked with me on pricing and I have to say I couldn't be a happier customer! Excellent professional sales and service. Highly recommend! There is a great group of people that work here. Kelly is so friendly went you walk in the front door. Brian and all the mechanics in the back do a great job. Brought in my Volvo, found out I needed a new rack & pinion. Kelley searched high & low and found a part that would work that wouldn't cost me a fortune. They answered all of my questions and gave me a breakdown of my costs. Definitely recommend! Had to stop here because of overheating problems while moving and they were able to fix the problem and get me back on the road in just couple hours. Thanks to them i finished my trip safe and sound and wasn't inconvenienced at all! Good place for travelers in need, good prices and great service. Matt went over and above any service I've ever received from a car dealer. We bought a F350 extended cab, but it needed a 5th wheel hitch. He found us an installer, brought the car to the installer, brought it back, and stored our car until we could pick it up. He answered all my questions excellently. He helped me get extra keys for the vehicle. There's nothing I needed that he did not offer to help me with. Ask for Matt. This guy's a jewel. Excellent Sales & Service! We've had our family cars serviced here for 3 years and they always find ways to keep repair costs reasonable with no unnecessary repairs. Recently purchased a used car there too and paid a very fair price. It was the least stressful car purchase I've ever made. Most important trait you can find in an auto sales & repair shop is TRUST, and that's what keeps us coming back here.